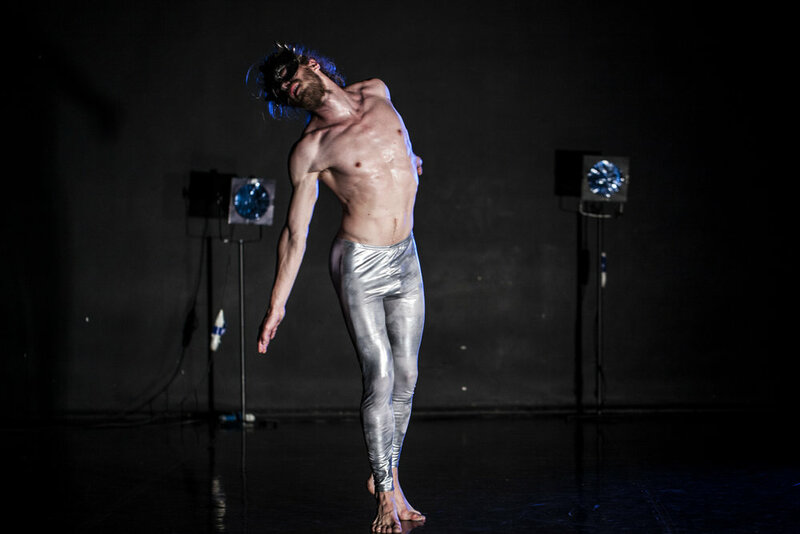 Matej Kejžar's new trilogy opens with Club 1 2 where four international dancers stage a rave party inspired by Tommasso Campanella's utopia the City of the Sun. Questioning the structures of gathering and individuality, Club 1 2 is an ode to the Dance with a capital D, to the dance liberated from structure. Club 1 2 was commissioned by and premiered at Festival Spider 2016 in Ljubljana, Slovenia. Club 1 2 is the first part of Kejžar’s new trilogy, the Utopian Trilogy, which builds on and further develops the themes and dancing methods from Kejžar’s Verbalisation Trilogy. Unlike the Verbalisation duets based in the relationship between Kejžar’s dance solos on the one hand and respective drumming, verbal narration and vocalising on the other hand, the new trilogy involves a larger number of dancers with private individual(istic) topics moving in the background to make room for the exploration of the (anti-)utopian social and collective issues. Inspired by raves' typical traits of duration, endurance, and the demanding rhythm, Kejžar created Club 1 2 in three respective sessions in Brussels, Berlin and Ljubljana. Initially a utopian idea, rave evolved into the last big social movement of our times - the dancing movement! Rave was a sub-structural techno perversion emerging from behind, and splashing over, the borders of the dominant epistemology. Club 1 2 is taking these facts as the pivot point of its creation. It utilizes rave in order to confront the choreographic avant-garde, strongly dominated by the structure of capitalistic demands, and to declare it dead. Club 1 2 hosts four international dancers and a bunch of techno songs created between 1992 and 1994 by the paradigm-shifting rave music icons such as Chemical Brothers and Underworld.